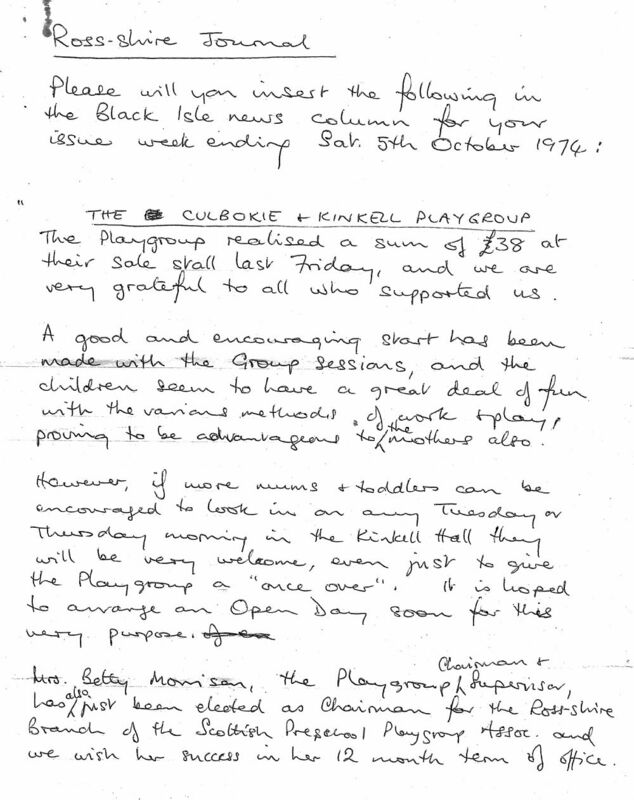 In February 1973 on the arrival of the Piercy family with two pre-school age children into the Community of Easter Kinkell hopes were expressed that the Community would have a stronger argument with the Council over keeping the Ferintosh School open. The school had been under threat of closure for some time (in September 1975 the school roll was 21) and the Council suggested that it would benefit the Community to set up a Playgroup to give more interaction between parents who had been concerned about the loss of the hub of the Community. Pam Piercy and Mrs Betsy Morrison, who was keen to help, met with the Ferintosh Hall committee who agreed that the Hall could be used. With help from Agnes Little, District Nurse, all relevant parents were contacted and meetings commenced in September 1974 with Betsy as supervisor. The series of press cuttings she kept, along with the Register, tell the story. In October 1974 Betsy became Chairman of the Ross-shire Branch of the Scottish Pre-school Playgroup Association, an involvement which lasted many years. 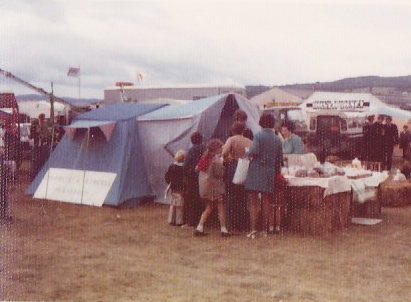 Fund-raising commenced straight away with a stall at the Black Isle Show, see photo at foot of page in the gallery. 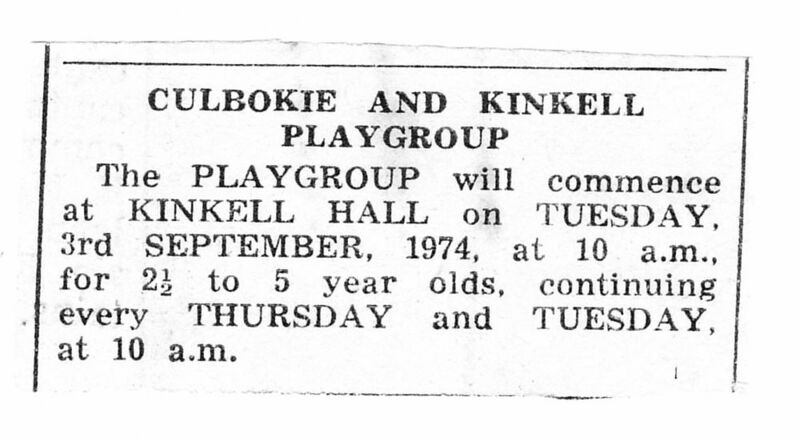 In June 1976 the Playgroup moved from Kinkell and opened in the Findon Hall at the start of the new shool year. 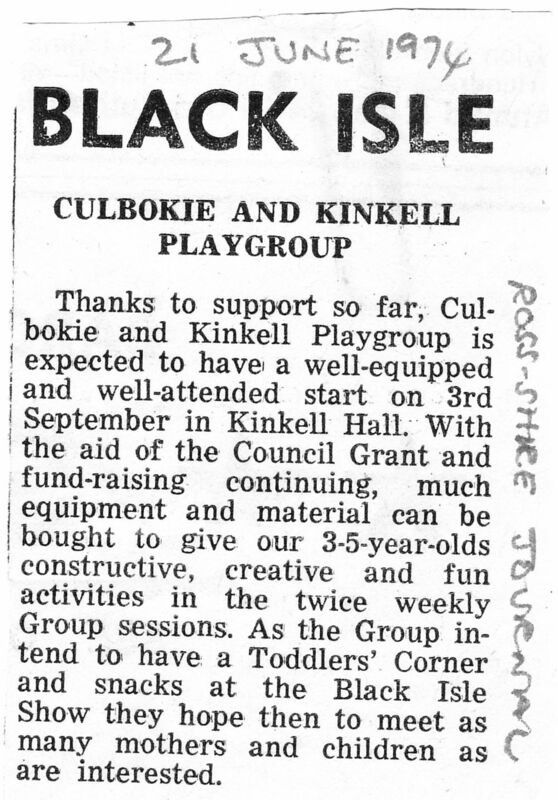 The Playgroup continued to operate from the Findon Hall until 2007 when the new Culbokie Primary school opened with its Nursery unit. The press cutting for 1999 illustrates its continuing function. The register can be viewed here. 1st August Black Isle Show- fundraising.